Sometimes as a music fan you're forced to ponder whether a formerly great band should call it quits. 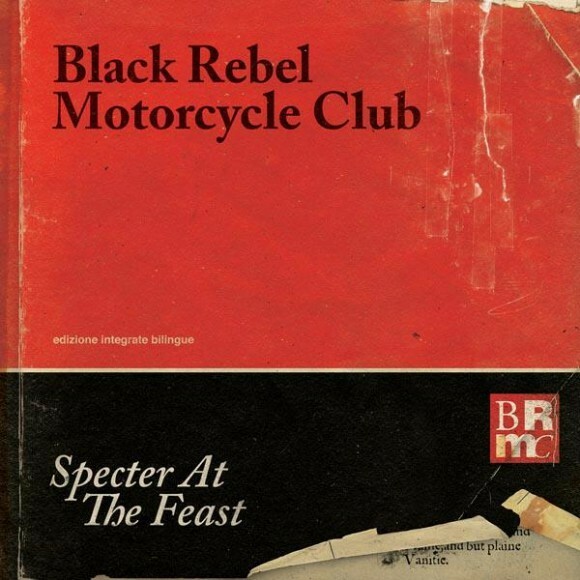 The last handful of albums from the formerly white hot Black Rebel Motorcycle Club have given reasons to stop and ask that question. So does the new album Specter At The Fest, the seventh from the group, provide any satisfactory answers? Things don't begin well with "Fire Walker". It's a plodding number that has nary a lukewarm ember, let alone a blazing inferno. The swirling amorphous "Sometimes the Light" is a timid affair as well. Singer Peter Hayes is heard inexplicably doing a Bono impersonation on the grandiose U2-esque tracks "Returning" and "Lose Yourself". The lazy, hazy "Lullaby" has all of the hallmarks of one of Oasis' 'deep' songs. 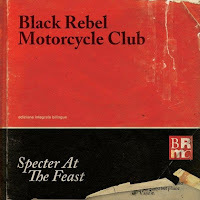 Just when you think all is lost, BRMC give you a glimmer of hope. The lead single "Let the Day Begin" is a heavy, well rounded number. "Rival" features some fuzzy fiery guitar work, while "Hate the Taste" and "Funny Games" are a pair of decent grinding rockers. The album standout, such that it is, is "Sell It". It features a loose and spirited cacophony, which mostly serves to make you wonder where this fire was for the rest of the record. When all is said and done, Specter At The Feast, doesn't really provide conclusive evidence one way or the other. It has some fine moments, but it also has several horrifying ones. Is an album on which half of the songs are passable really worth it? Black Rebel Motorcycle Club play the Kool Haus in Toronto on May 9th. Best tracks: "Sell It", "Rival"